While tomorrow is the official release date for Louise Penny’s latest Armand Gamache novel, The Long Way Home, my finished version arrived today. Most people know that BOLO Books reads advanced copies of novels in order to present followers with timely reviews, but what you may not know is that in many cases, I also buy finished versions of the books for my collection. The cover design work done for this book is special enough that I wanted to say a few brief words. Immediately upon taking this book out of the shipping package, it was clear that what the designers had done for The Long Way Home was very special indeed. 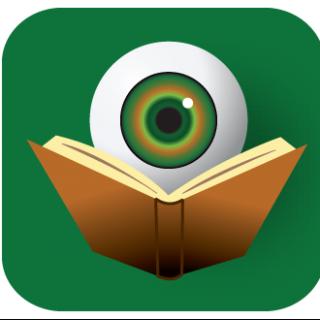 If you follow the release of mystery/thriller books at all, you have no doubt seen the cover image itself. The upside down picture, the name Louise Penny – fittingly in larger font than the title, and that tagline that is music to the ears of fans – A Chief Inspector Gamache Novel. 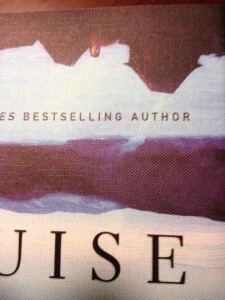 But what is not apparent from the online version of the cover is the texture of this cover stock. This is a very high quality paper stock, with the feel of actual linen. What you end up with when using this cover stock and this cover image is a book that appears to have been wrapped in a painting. Not a photograph of a painting, but the painting itself. Even this detail photo of the cover doesn’t quite convey the majesty of this design, but trust me, you are going to want to hold this book in your hands. This alone would make the cover a stand-out, but having read the novel already, I can also say that rarely have I seen a cover design that so accurately represented the PLOT of the book within. I am not going to explain this comment in detail, but you will understand exactly what I mean when you read this book. And yes, you should read this book. If you need more encouragement, check out my spoiler-free review of The Long Way Home which was posted late last week. My “real” copy has not arrived yet and now I’m dying to get my hands on it! I had no idea the dust jacket was going to be such a gift! I’m a sucker for cover art and this one sounds divine! You are going to love it Kaye. They really outdid themselves this time. It’s so simple, but when tied to the plot of the book, it become magical. I so enjoyed your analysis of the cover art for The Long Way Home. This is one of the reasons I choose to buy hardcovers of books for my collection. Thank you! Thank you Cheryl. Thanks for stopping by BOLO Books. 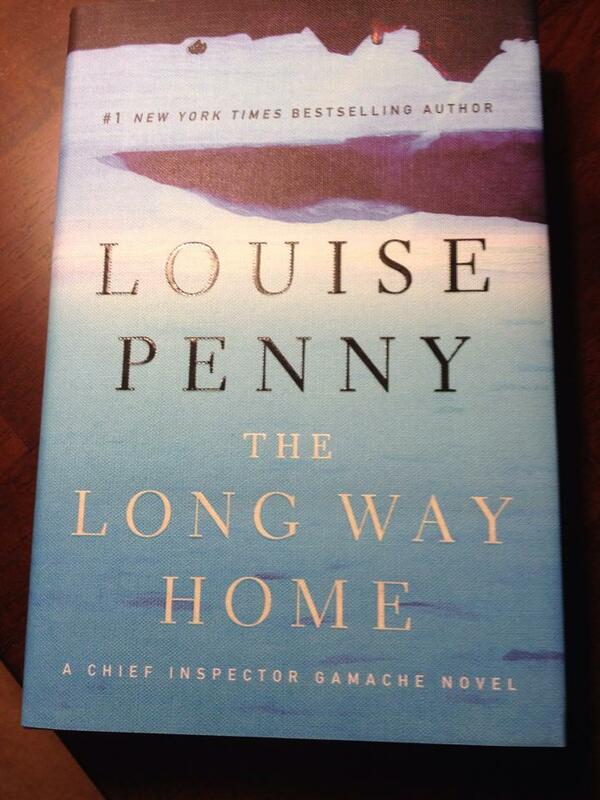 I hope that you enjoy the Louise Penny novel.